With Halloween behind us, it’s safe to say the holidays are in full swing! I don’t know about the rules in your house, but in mine, we start decorating this weekend so we can squeeze every minute out of our holiday decor. But I’ll be honest with you, I come from an era where my definition of decorating including silver tinsel and holiday lights. My husband, not so much. So what’s a couple with different design styles to do? Especially when you throw a few kids with their own opinions in the mix? 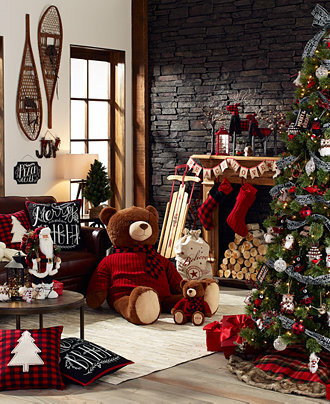 It’s easy to get overwhelmed with all the holiday decor options out there. Have no fear, I’m here to share three holiday decorating themes with you in hopes that you’ll find one that meets your family’s holiday home personality. The birch theme epitomizes a winter wonderland. If you want to surround your family in shades of winter whites, polar animals and the feel of the Great White North, this is your theme. To capture this look, think polar bears and snowy owls, white on white ornaments and accents of silver. Love log cabins? Wish you could escape to a lodge for the holiday season? Why not bring that forest feel within your own home! 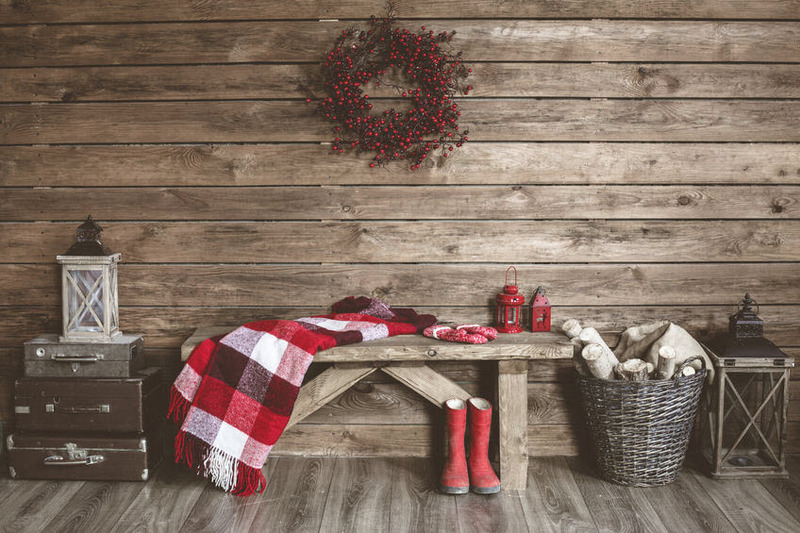 To recreate our Into the Woods motif, mix the iconic red and white holiday colors with the rich shades of wood and brown to create that perfect forest feel. Pillows and plush enhance this theme, so if the kids are willing to contribute their favorite teddy bears to the decor, even better. I feel like this Shimmer and Shine theme is both the most attainable and iconic of the holiday decor themes. Who doesn’t love silver and gold? Best of all, chances are you already have some of these metallic elements in your home already that can be incorporated into this holiday design plan. My favorite DIY project from this shiny wonderland? The replacement of logs in the fireplace with spray painted books! Even my kids could help with that project. Even though I wasn’t blessed with an eye for design, I’m thankful for idea boards like these to help me have a template for creating a home filled with warmth for the holidays. Whichever holiday design style you resonate with most, the important things is to involve your entire family and infuse your style into the theme. 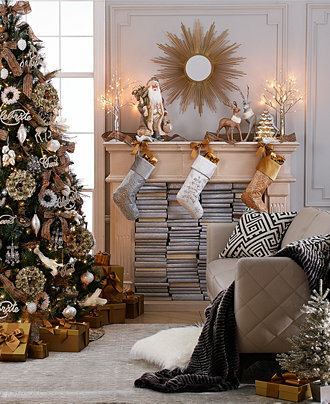 What about you, when do you start decorating for the holidays?